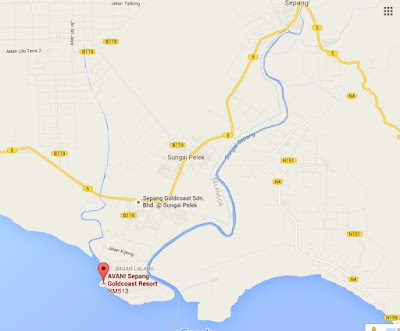 It took around 1 ½ hour drive from Ara Damansara, Selangor to reach Sepang Goldcoast. We (myself and Wilbur) drove pass the small sleepy towns of Sepang and Sungai Pelek before arriving at Avani Resort, Sepang Goldcoast. 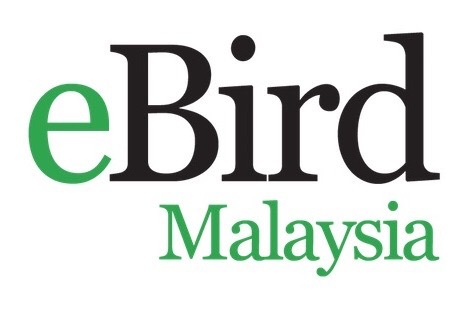 All 12 members of the Wild Bird Club Malaysia (WBCM) gathered at the lobby of Avani Resort, Sepang Goldcoast, around 10am on a hot Saturday morning. Briefing was done by En. Irwan from Avani Resort and our WBCM President Mr. Andy Lee. The Resort’s tour guides Bella and Sindi joined us in our Sepang Goldcoast count which was conducted, by boats, arranged especially for the WBCM members by the Resort’s Chief Financial Officer, Mr MC Wong. 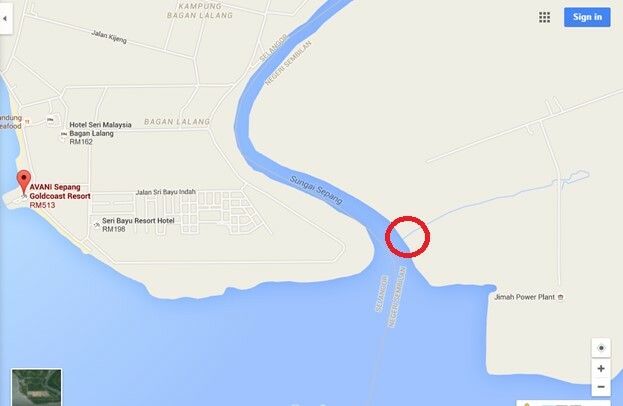 The Resort had also kindly arranged for our transportation to the Jetty overlooking the Sepang River. It was a short drive (around 5 to 10 minutes) from the Resort to the Jetty, and we commenced our boat trip by 10.30am onwards. Google Map below shows the length of the Sepang River which stretches from the small town of Sepang. 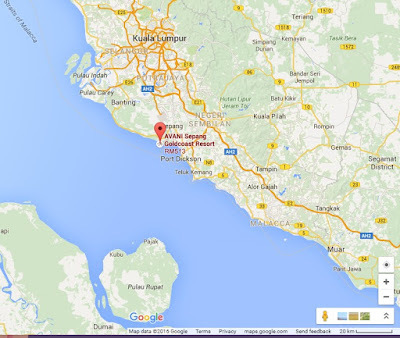 The river snakes and winds its way toward the coast of Selangor, ending at the Straits of Malacca. Oriental Honey Buzzards were flying in from 12.45 to 1.15pm across the Sepang River towards to the Power Plant Funnel. Our group witnessed this spectacular migration from our boat, and we saw a second group of OHBs flying across when we ended our boat count at around 2.15pm. Pulau Rupat, Indonesia where these OHBs most likely took off from, looks quite nearby Avani Sepang Goldcoast Resort (See Google Map below). Looks like these OHBs were entering Peninsular Malaysia through a different flight route other than through Tanjung Tuan which is in Teluk Kemang, on the borders of Malacca and Negeri Sembilan. Total of 328 OHBs were counted that Saturday and our tour guide, Bella was very surprised to learn that these were migratory birds on their (winter) journey to East and North Asia. Also seen along the Sepang River was a long-tailed macaque swimming across it. The macaque dived underwater when it saw us observing it and held its breath for quite a long time before emerging on the river mudflats. Two dusky leaf monkeys were spotted resting in mangrove trees along the river, on our boat journey towards the rivermouth. We stopped for lunch at around 1.15pm, our boat “parked” at the entrance to a smaller river (marked in red circle as shown in Google Map below), which was within the Selangor-Negeri Sembilan borders, overlooking the Jimah Power Plant. To be geographically precise, we had our lunch in Negeri Sembilan that Saturday afternoon! Thirty (30) species of the following birds were counted from 10.40am onwards until 2.15pm along the Sepang River by members of the Wild Bird Club of Malaysia. Pictures of species as captured by WBCM members Ang Teck Hin and Alan Koh together with group picture of WBCM members lead by our President Mr Andy Lee, are in the Slide entitled “WBCM Day Trip to Sepang Goldcoast.” Slides are enclosed with this Report. 1 seen sitting on nest in a tree alongside Sepang River whilst a second eagle was soaring above. 1 was seen nesting and members in the boat heard the boatman said wanted the chick. Need to educate boatman on importance of protecting these birds of prey and not to interfere with the nest and nestlings. Avani tour guide in that boat was Sindi. Perched on an empty tree branch and swooped below, its talons skimming the surface of the river. It didn’t manage to catch a fish. 328 seen between 12.45 to 1.15pm and around 2.15pm flying across the Sepang River. 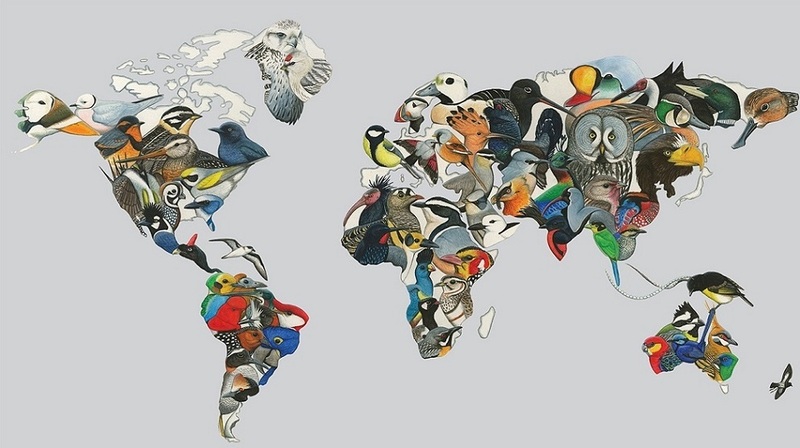 Should be northern spring migration. Sparrowhawk species was pictured by a staff member of Avani Resort, Sepang Goldcoast about a week ago before 19th March 2016. 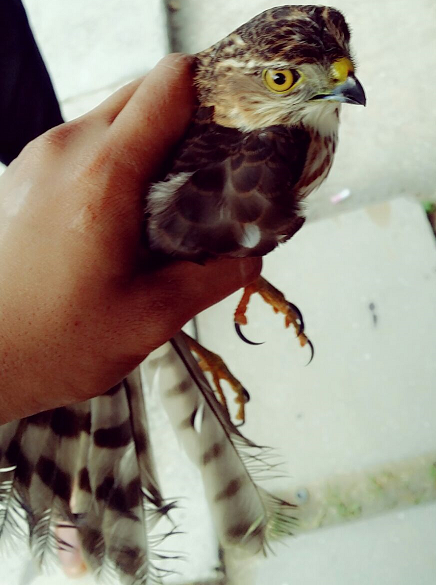 This fierce-looking Accipiter, with razor sharp talons flew into the Resort office, through an open window. It was safely led out into the open skies by the Resort staff after a few challenging minutes. Apparently there was a mirror in the resort office and the Sparrowhawk had confused its mirror image with that of a rival Accipiter. This sparrowhawk is a descendant of the Velociraptor after all (hence the razor sharp talons, sharp vision). 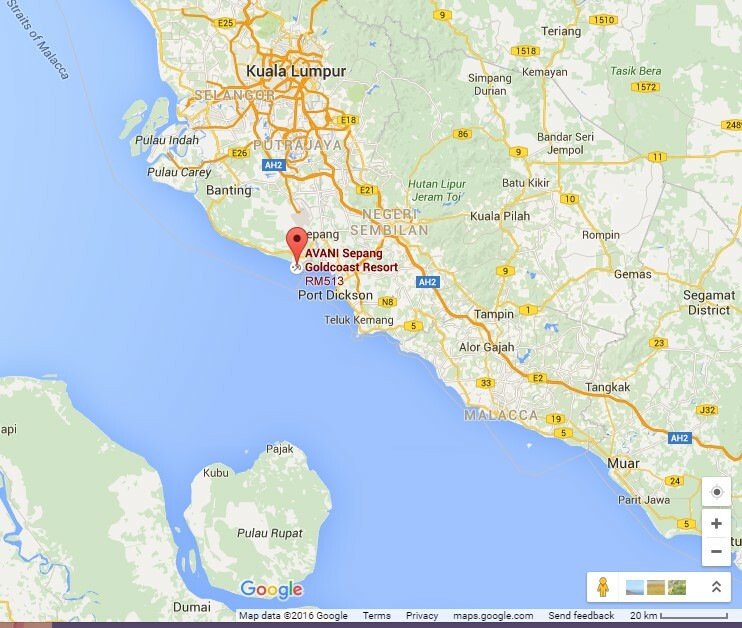 Avani Resort Sepang Goldcoast’s invitation to Wild Bird Club Malaysia to conduct this survey along the Sepang River is a good sign that the private sector (the Avani is an international hotel resort chain, with resorts based worldwide) is committed to sustainable development. The resort tour guides were in awe, after learning about the rich birdlife that can be found along the Sepang river, on that Saturday alone. That fascination can continue to be shared by them on a regular basis with resort guests. There is also a need for Avani employees to educate the boatmen and local community of Sepang on the importance of protecting the waterbirds, raptors and waders including their riverine and wetland habitat, and not interfere with nests and nestlings in order to ensure the continued survival of these birds. Good job, keep it up. We need more sites to monitor and promote! Thank you WBCM.